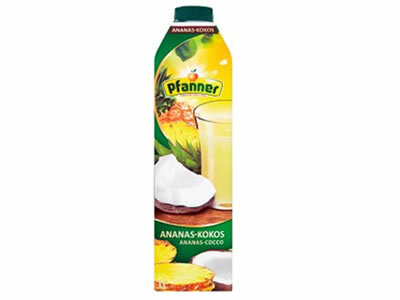 Pfanner Pineappe-Coco drink, 25% less sugar. 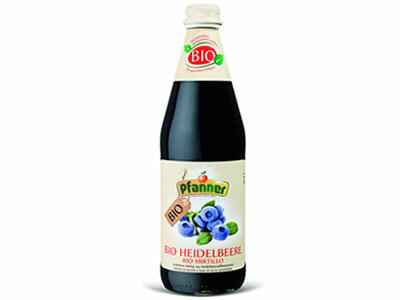 Blueberry Drink, 20% less sugar. 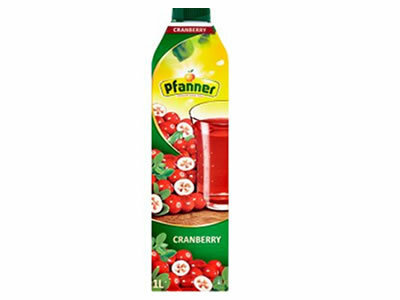 Cranberry Drink, 20% less sugar. 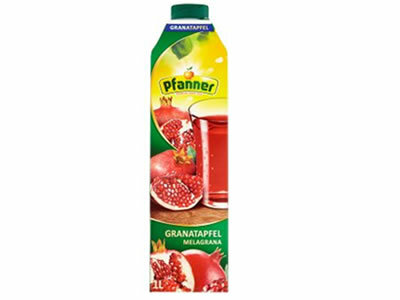 Pomegranate Drink, 25% less sugar. 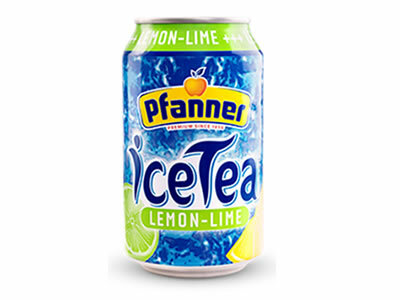 Ice Tea Lemon-Lime, 30% less sugar. 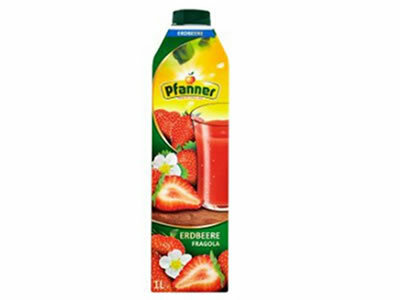 Strawberry juice is made with aromatic strawberry pulp, 30% percent less sugar. Ice Tea Peach, 30% less sugar. 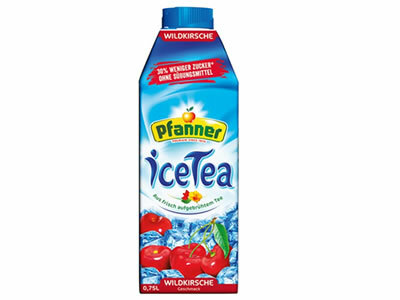 Ice Tea Wild Cherry, 30% less sugar. 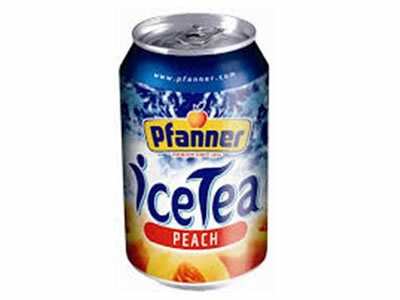 Full-flavoured peach in authentic Pfanner iced tea. Naturally brewed tea, full of sunshine, in a 330 ml can. 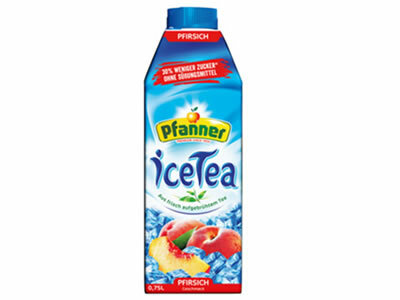 Pfanner natural iced tea. 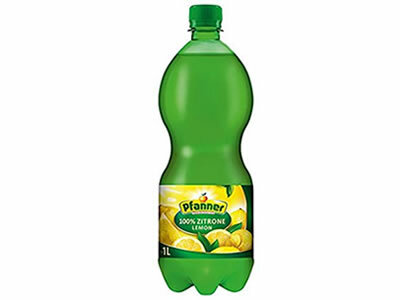 Enjoy the refreshing combination of lemon and lime. Naturally brewed citrus flavoured tea in a 330 ml can. 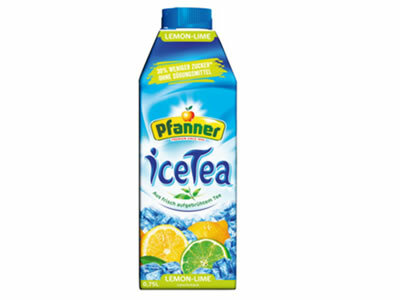 Pfanner natural green tea brings out the refreshing flavours of lemon and prickly pear. 330 ml of naturally brewed tea in a can. 100% Lemon Juice from lemon juice concentrate. 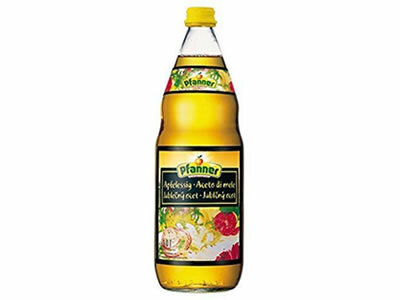 Pfanner Apple Cider Vinegar can be used for drinks, cooking and other purposes. 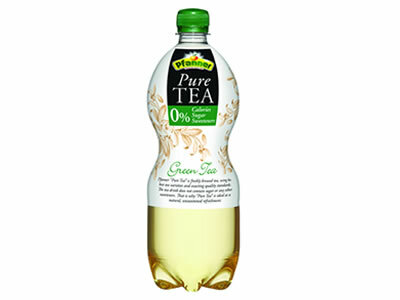 Pfanner Organic “Pure Tea” is characterised by the typical, slightly bitter flavour of the finest varieties of green tea. 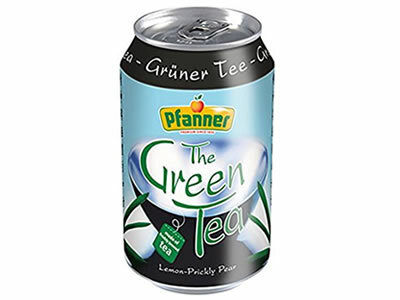 Rounded off with an exquisite touch of lemon, Pfanner PureTea green tea provides pure refreshment. The gently stimulating effect of green tea refreshes your body and mind. This tea drink does not contain sugar or any other sweeteners, making it an ideal natural, unsweetened refreshment. 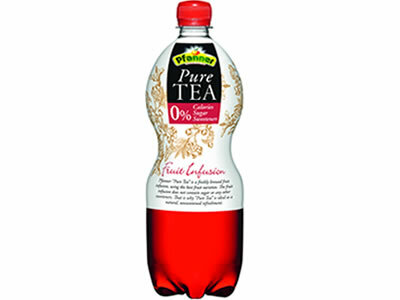 Pfanner PureTea fruit tea is freshly brewed from a perfectly balanced mix of finest rosehip and hibiscus flowers, and rounded off with the fresh flavour of wild berries. In contrast to green tea, fruit tea contains no caffeine, sugar or any other sweeteners. 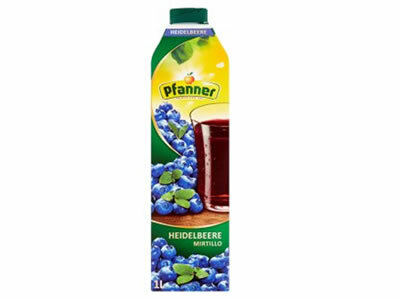 For that reason, Pfanner PureTea fruit tea is the ideal refreshment for the whole family. 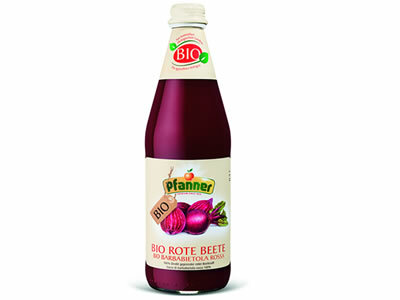 Organic Beetroot is a 100% vegetable juice and is sour fermented. This makes it especially tasty and easy to digest. Beetroot contains phytonutrients, called natural Betacyane, which strengthen the body’s resistance and help to maintain cell functions. Oranic Pomegranate is impressive with its refreshing, finely tart flavour and is ideal on its own or as an addition to cocktails. With its sweet kernels, the pomegranate has always been a symbol of life and fertility. 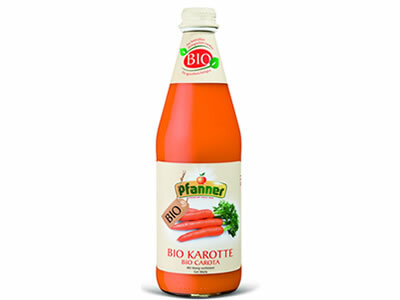 At Pfanner, this aromatic red fruit is the basis for a delicious drink with Vitamin C.
Organic Carrot is an organic carrot juice, sour fermented and refined with honey, which makes it a tasty and especially digestible beverage. Selected carrots, fresh from the field, are pressed gently and bottled unfiltered. 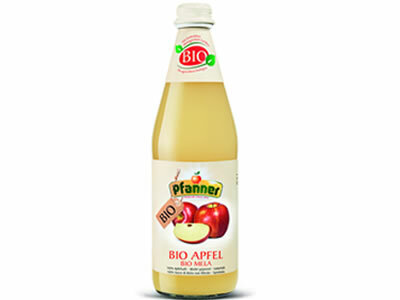 This gives Pfanner Bio Carrots its fresh and natural taste, ideal for the daily supply of the important natural Provitamin A.
Organic Apple is cloudy from direct pressed Apple juice with no added sugar. 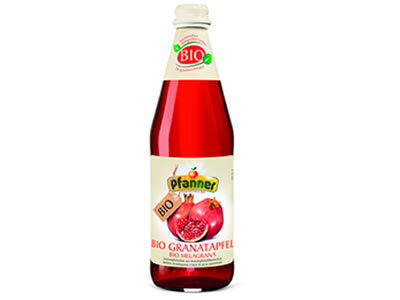 To manufacture 500 ml of this 100% juice, 1Kg of freshly harvested, sun ripened organic apples are used. Organic Blueberry is a fruity and intense tasting fruit nectar, naturally rich in many important nutrients for daily wellbeing. The forest blueberries, originating from Canada are picked by hand and gently pressed. Blueberries contain valuable antioxidants, which help agains harmful free radicals.